Easy to install and portable, Solar powered, Needs no batteries. Clean air and blows hot air out of parked car. Keeps your baby safe in case he is left alone in the car. 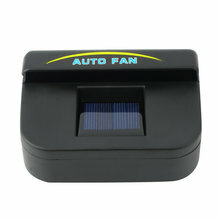 AutoCool solar panel use only sunlight to power up – not the car’s electrical wiring or batteries. Chip the auto vent cooler deluxe onto the window. work your way to the auto vent cooler deluxe. Slowly Roll the window closed. Fit for any car windows. 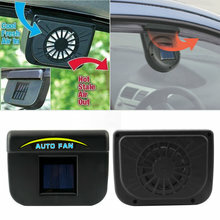 Note: Auto Cool does not work in cars with tinted windows. Queda un hueco al poner el aparato.